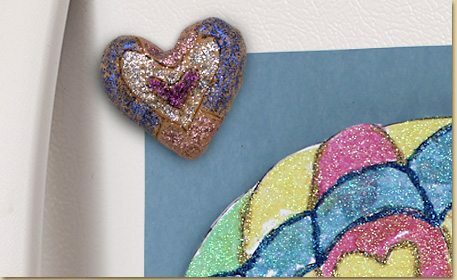 Add glitter to clay and mold to form heart shape magnets and doweled crafts! 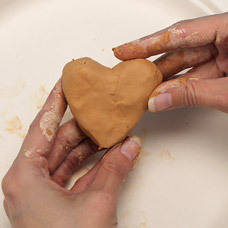 Mold your clay into the shape of a heart as shown. You can turn this craft into a magnet in the end or a decoration with a wood dowel. 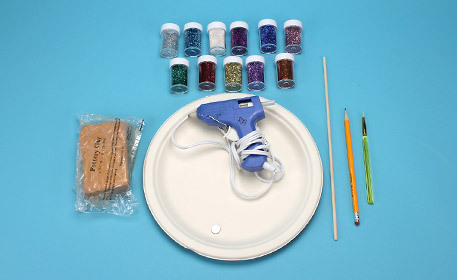 For magnet crafts, skip this step. 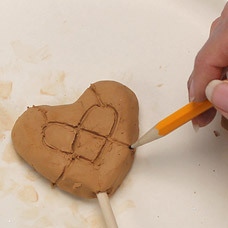 For decorations on a stick, carefully insert a Wood Dowel into the bottom of the clay heart after molding. 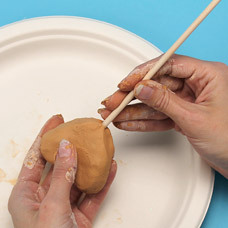 Make sure the Wood Dowel is far enough into the clay to hold the heart securely. Using a pencil, draw a simple design onto the heart. Tip: Don’t press too deep, but just enough so that the design is showing. 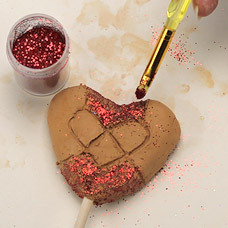 Dip your brush in the glitter, and gently press the glitter onto the clay heart. The glitter will stick to the wet clay. Continue dipping and pressing the glitter to the clay. 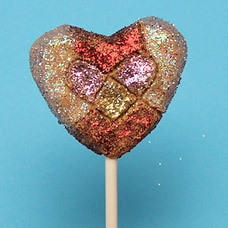 Change colors as you add glitter to create a really sparkly design. 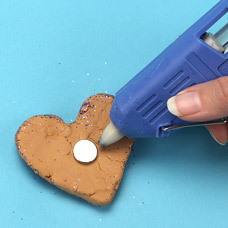 You can make a heart magnet, by skipping step 3 and gluing a magnet to the back of the dried clay. Due to the materials, we recommend using the hot glue gun to attach the magnet to the clay, which may require adult assistance.